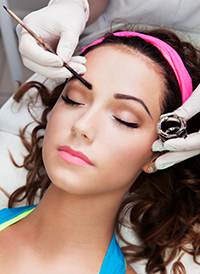 During electrolysis, a tiny probe is inserted into the skin. The needle is placed deep into an individual hair follicle that holds one hair. Is a popular depilatory method where hair is removed from the roots for longer lasting results. Wax is applied to the skin and clings to the hairs. Is an ancient system of energy healing. It involves direct application of energy (Chi, Prana, Ki) to strengthen the clients energy system (aura). 180 Grimsby St, Staten Island, NY 10306-5824. If you need Electrolysis, Waxing/Brazil waxing, Tinting, Hair removal or Reiki / Ear Candling services, please call Joanna Lula or come to Staten Island now.